Ivory Coast has good news for their travel and tourism industry. In the city of Abidjan, one of the most populous cities in Africa and the largest business hub in the Francophone Africa. A new hotel under the Radisson Hotel & Apartments Abidjan Plateau name will open. This Radisson Hotel will be located on the Boulevard de la Republique in the heart of the Plateau – the central business district – allowing easy access across the city for guests visiting for business and leisure. The 152-room Radisson Hotel & Apartments Abidjan Plateau is a new construction and scheduled to open in 2021, offering 122 standard rooms, 24 one-bedroom apartments and six two-bedroom apartments. Other facilities include an all-day dining restaurant, a specialty restaurant, a sky bar and fitness room. The city’s largest conference space will have eight meeting rooms over 1000 sqm area. 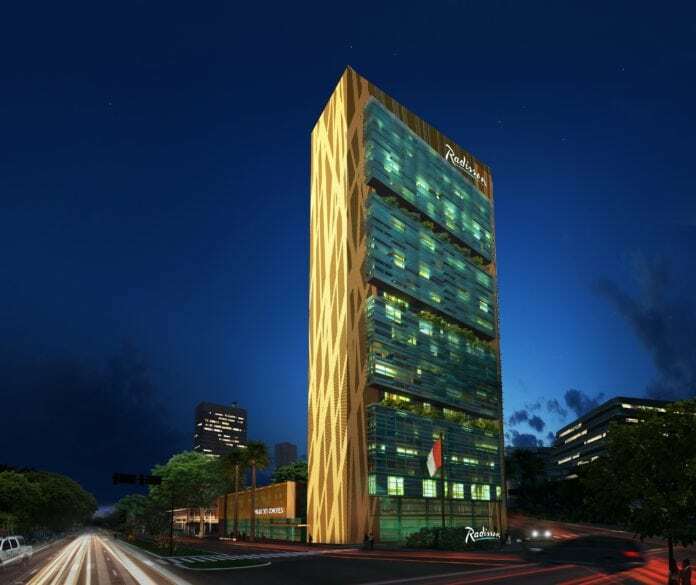 Radisson Hospitality AB, publicly listed on Nasdaq Stockholm, Sweden and part of Radisson Hotel Group, is proud to announce the signing of a new Radisson hotel in Abidjan, Ivory Coast. The Radisson Hotel & Apartments Abidjan Plateau signing brings the group’s Africa portfolio to 86 hotels and almost 18,000 rooms in operation and under development.